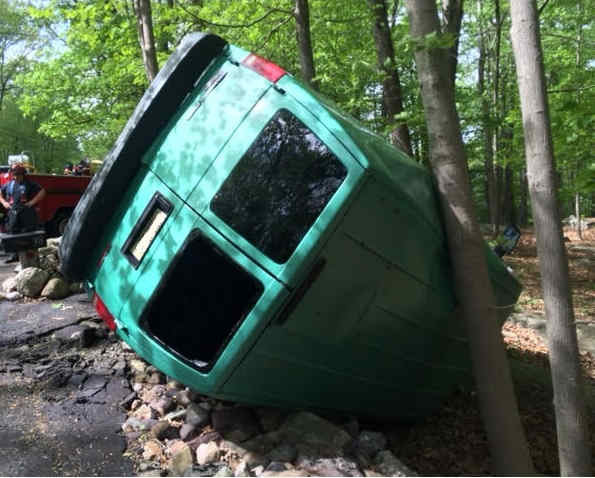 BOONTON, New Jersey (WABC) -- A New Jersey dad is facing charges after police say he let his 13-year-old son drive a van, which ended up flipped over in a ditch. 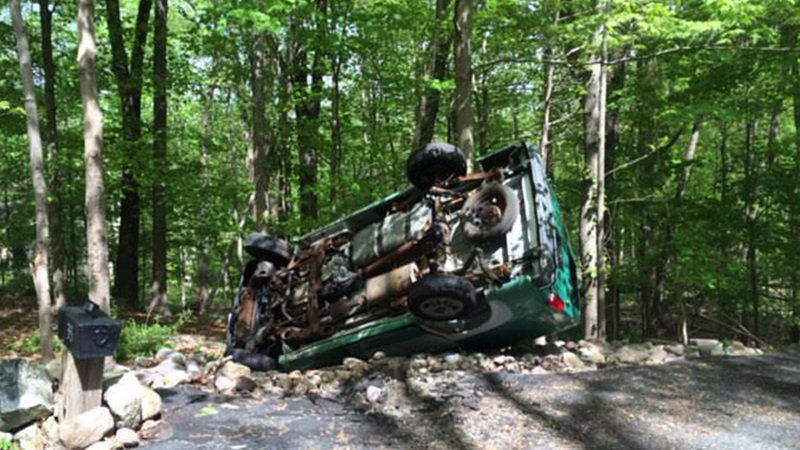 Boonton police were dispatched to Farber Hill Road for a report of an overturned vehicle with the occupants possibly trapped inside around 3 p.m. Sunday. Officers arrived on scene and observed a van overturned resting against a tree off the side of the road. The two occupants, the 55-year-old father and his teenage son, had already escaped from the vehicle by breaking out a back window and crawling out. The subsequent police investigation revealed that the father had allowed the child to drive the vehicle while he sat in the passenger seat. The boy lost control of the vehicle, and it subsequently overturned. Neither party suffered any serious injuries. The father, whose identity is being withheld to protect his son, was charged with allowing an unlicensed driver to operate a motor vehicle, failure to wear seat belt and unregistered vehicle.